With the Spring cleaning out of the way my focus has shifted to keeping the house clean during the summer months. The kids will soon be off school for the long summer holidays and keeping on top of the extra mess can be a challenge. 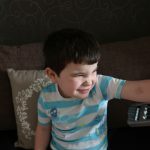 Grubby fingerprints, muddy shoes from the garden and ice lolly stains to name a few. I don’t really mind though as long as they are having fun. 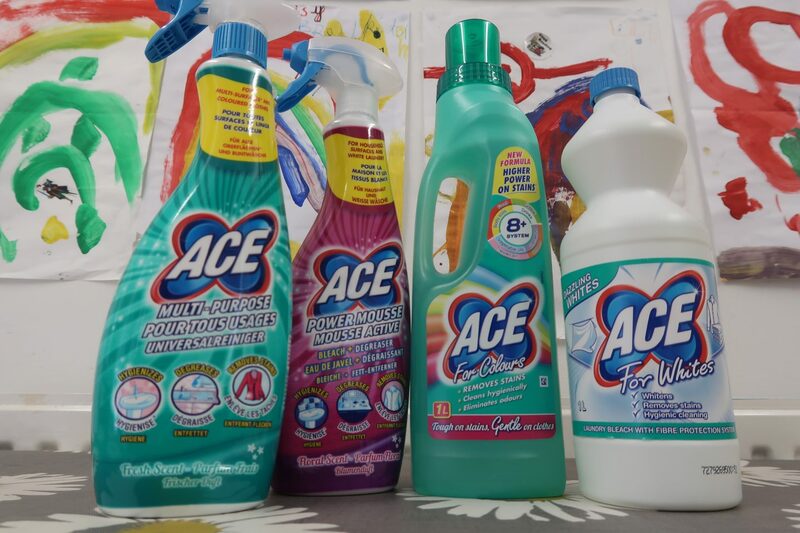 ACE recently sent me a bundle of their cleaning products to review. 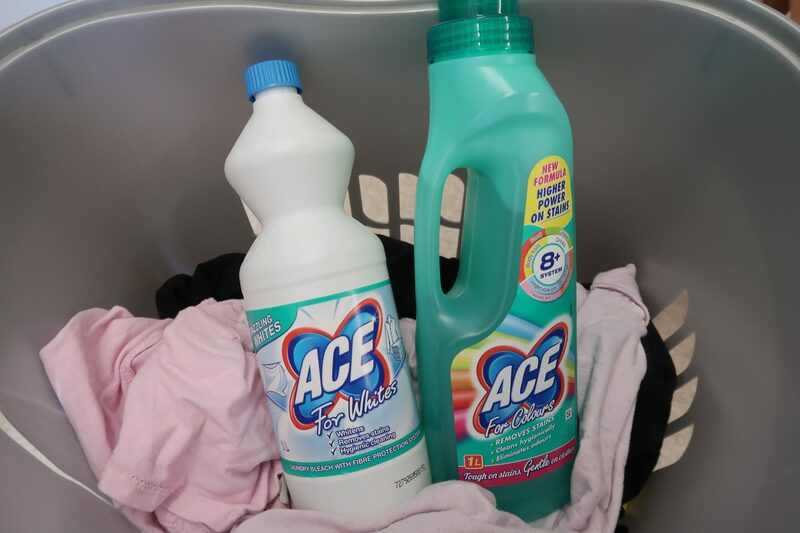 Although I have used ACE in my laundry before I didn’t know they also had a range of household cleaners too. All of the products are tough on stains but gentle on clothes. Ace are also committed to making efforts towards sustainability and caring for the environment. ACE products are also perfect for life with kids. 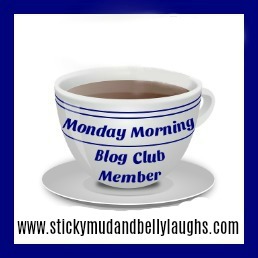 Check out the My Mum’s Ace section on their website for advice in how to get stains out including finger paints, grass, gravy and lots more. I love a multi-purpose product, they are a real time and money saver. What’s even better about these ACE multi-purpose products is that not only can you use them around the house you can use them on laundry too ! 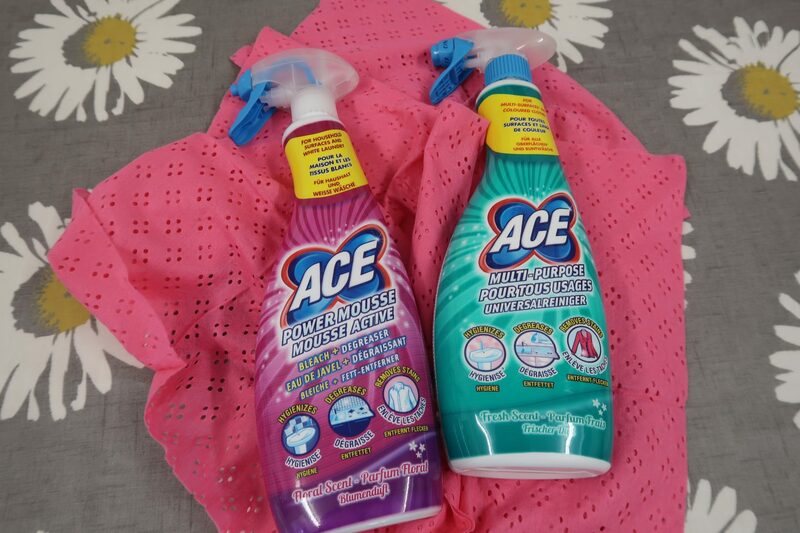 ACE Multi-Purpose Spray tackles germs, grease and stubborn stains around the house. It’s also a fantastic stain remover on coloured clothes. I used this on my kitchen sink and worktops, I liked the foam it created when sprayed and that it wiped away easily leaving a lovely fresh scent. ACE Power Mousse combines the might of bleach with ACE cleaning power. The innovative mousse cleans and degreases household surfaces as well as keeping white laundry bright and clean. It has a fresh floral scent and uses odour masking technologies. I used this on my bathroom, the mousse left the surfaces sparkling clean and smelling amazing. ACE For Whites is specially formulated to work on lighter fabrics. It brightens whites and is gentle on delicate clothes. You can use it the washing machine, as a pre-treatment for difficult stains or if you are hand washing. I found it fantastic for the kids white school polo shirts and socks. You can also use it to clean surfaces in the bathroom or kitchen. ACE For Colours is my absolute favourite product for stain removal. It works for all colours and leaves your washing smelling fresh and clean. It’s perfect for families treating a range of stains like food, grease, vegetable oil and cosmetics. It’s also suitable for all fabrics even wool and silk. I like to add a capful to every wash load to keep my washing fresh and stain free. 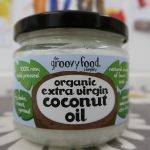 This product also doubles as a household cleaner too, you can pour it straight on surfaces and rinse off with water. 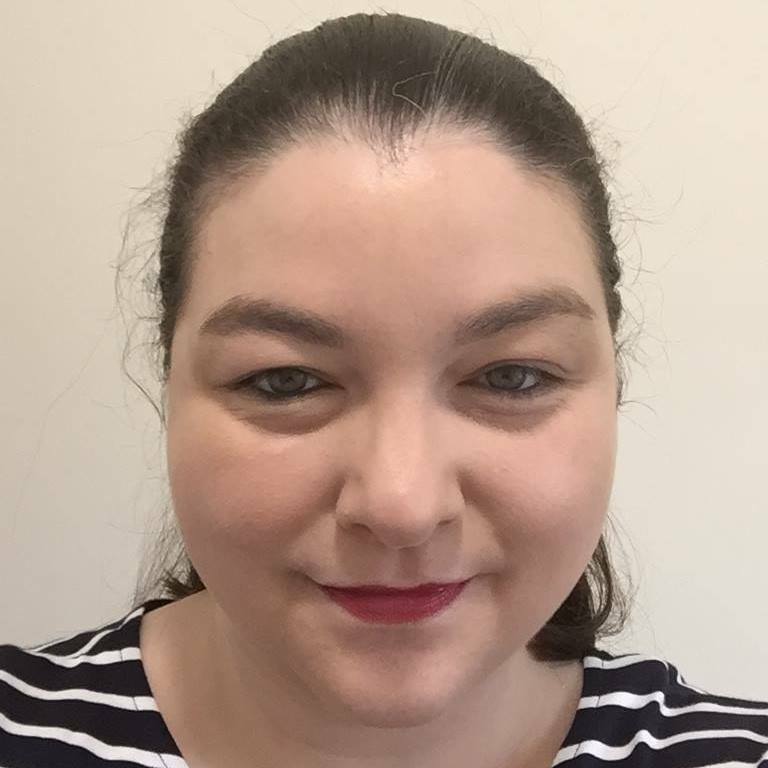 I really liked all of the products I tried, they were easy to use, had a pleasant fragrance and left no residue behind. ACE cleaning products are available from Amazon, supermarkets and other good retailers. Disclosure: We were sent the ACE cleaning products free for the purpose of this review. All opinions are my own. This post contains an affiliate link see our disclosure policy for more information.